In Pride and Prejudice Mr. Darcy has months to think about Elizabeth Bennet’s accusations to his character. He has plenty of time to feel angry, upset, and finally understand and accept she might be right in some of the things she said. He has plenty of time to recognize he could become a better man if he choose to moderate his character, and he has plenty of time to make amendments for his previous actions. But what if he didn’t have all those months? What if one day was all he had to change what needed to be changed? Will that ever be enough? Will he be able to make amends for his past actions in one single day? What course of action would he choose to take if he knew what was to come? And what exactly does he need to change to get it right? In a Pride and Prejudice meets Groundhog Day story, Beau North and Brooke West present us with a creative and humorous tale that will keep us turning the pages from beginning until the end. 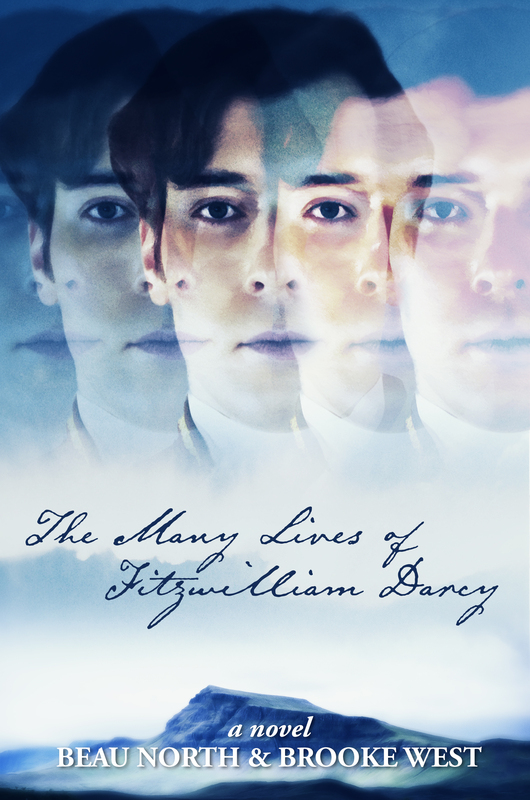 The secondary characters in this book were carefully created not only to support the leading characters, but also to have a life and importance of their own, making The Many Lives of Fitzwilliam Darcy a consistent book in terms of character development. I enjoyed seeing Anne’s reactions and discourse, but most of all I loved the scene when Lady Catherine bursts into Darcy’s office to let him know that that insolent girl would not give up on him. Not only did I love the scene itself, but also Darcy’s perceptiveness which allowed us to see a side of Lady Catherine I had never seen before. Overall this is a well written prose with a perfect balance between heart breaking intense scenes and humorous passages that will captivate all types of readers. It is creative, fun and well built, a true must read for the JAFF community. After Elizabeth Bennet rejects his marriage proposal, Fitzwilliam Darcy finds himself in the most unusual of circumstances. At first believing the extraordinary turn of events has granted him an inexplicable boon, he is eager to put the humiliating proposal behind him. He soon discovers that he is trapped in the same waking dream with no end in sight and no possible escape. All that he holds dear—his name, his home, his love—remains ever out of reach. How will he find his way back to his normal life? Will one mistake haunt the rest of his days? It will take all of his fortitude to weather the storms of his strange new fate, and all of his courage to grasp the promise of his future. Beau North is the author of Longbourn’s Songbird and a contributor to the anthology Then Comes Winter. 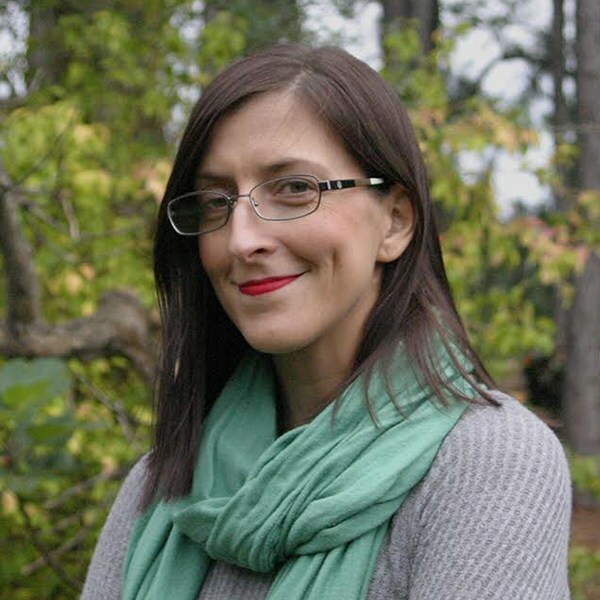 Beau is a native southerner who now calls Portland, Oregon home with her husband and two cats. She attended the University of South Carolina where she began a lifelong obsession with Literature. In her spare time, Beau is the brains behind Rhymes With Nerdy, a pop culture podcast and website, and a contributor at the San Francisco Book Review. 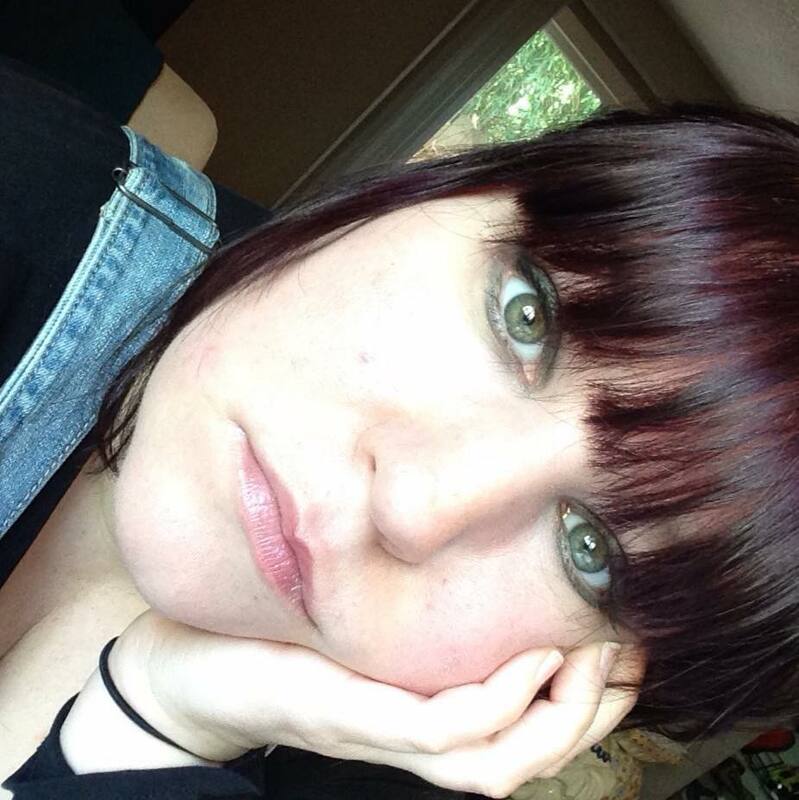 Brooke West is a contributing author to the anthology Then Comes Winter. Brooke has a naturally creative soul that pulls her into myriad artistic endeavors. While writing fiction always has been her life’s passion, Brooke also finds joy in silversmithing, sculpting, and costuming. Between projects, she runs and practices yoga. She lives in South Carolina with her fiancé, son, and three cats. Want to know more about this book? Why don’t you follow the blog tour? 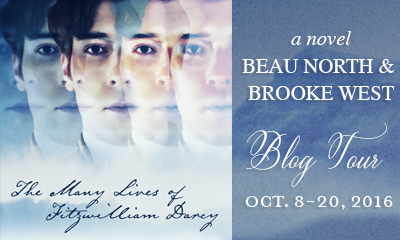 I appreciate your support of this blog tour and I hope your readers love this story! Good luck, Glynis! I hope you enjoy this story! Groundhog day is one of my favorite movies! Mine too! I tried to instill a lot of the black comedy elements that made Groundhog Day so wonderful into this book. You’ll have to let us know what you think when you’ve had a chance to read it! What an enthusiastic review,Rita! It’s so obvious that you really enjoyed reading it and I,for one,can’t wait! It sounds fascinating-Darcy being forced to repeat the same day over again until he’s realised the errors of his ways and is prepared to change! Am so looking forward to this one! I hope you like it Mary! Good Luck! We’ll have plenty of chances to win on the tour! Thank you so much for this wonderful review, Rita! I’m so pleased that you enjoyed it. I, too, find myself overcome every time I read that particular Lady Catherine scene. As much as I’d love to take credit for it, that was entirely Brooke’s genius at work. It’s an incredibly touching scene! Thank you both for writing this wonderful book and giving us so many pleasurable moments with it! Thanks for such a wonderful review Rita. I really enjoy anything that has this sort of looping scenario. So, Groundhog Day is a favourite film and putting my sci-fi geek hat on, there’s an episode of Stargate SG1 called Window of Opportunity that’s simply one of the best in the whole 10 year run of the series. The nearest I can think of in the JAFF genre is Jeanna Ellsworth’s Pride and Persistence, which I also loved. Definitely one for the Wish List. Anji, if I may flex my own nerd muscles…the working title of this book was initially “Mystery Spot,” which is an episode of Supernatural where one Winchester brother must relive the same day over & over. Hi Beau. Supernatural is one that’s passed me by. It’s perhaps not been in free-to-air TV in the UK. It’s good to know that there are so many geeks/nerds wearing more than one hat (or should that be bonnet?) out there in JAFF land. I also love this type of premises Anji, they have so much potential! You know I’m a sci-fI geek too, and I love SG1!! I’ve seen all episodes but I’m not remembering this particular one. I’ll have to search for it and re-watch it. Now, I have to say that there is also an X-Files episode with this premise and it is one of my favourite episodes from the show! It’s called Monday if you’re interested. Read this story, loved this story, posted a review and will read this again. I’m so glad you adored this one too! I would read anything these two wrote! And they are such pros to work with. Love! Love this premise. Thanks for sharing this story with us! Well said, Rita! I loved all the sides of Darcy that came out in this story and yes, the secondary characters were all so well planted in this story. Please do not enter me in the giveaway. Woot woot! This book sounds great! 😀 I’m very curious to read it! So glad to see you loved it! I’m reading it right now for the tour and am really enjoying it so far! Oh my, it doesn’t get much more tantalizing than this! Definitely adding this one to my must-read list … and would be delighted to win a copy (thank you for offering the giveaway). Thank you Janis!! That was actually on my to do list for the blog. I’ll need to go and check it out. Thank you for letting me know!!! Wonderful review Rita! I am looking forward to reading this one! Your stories are so enjoyable. Thank you for the pleasure you’ve given me. This book is definitely on my ‘to be read’ list next. Great premise. Wonderful review, Rita! Congrats again ladies on your new release. Great review Rita! It’s on my TBR list! Can’t wait to read it! I enjoyed this when it was posted at AHA, and the published version, with that cool cover, will undoubtedly be much improved. Great review!